Photo Credit: Courtesy of National Blue Ribbon Schools Program. “So proud to announce that Glen Rock High School has been selected as a National Blue Ribbon School." The GRHS Twitter (@GRPSHighSchool) released this official statement on twitter. 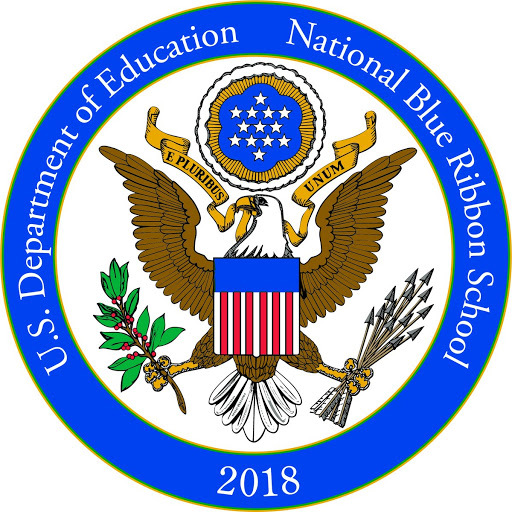 The National Blue Ribbon Schools Program, which works in association with the U.S. Department of Education, named Glen Rock High School a 2018 National Blue Ribbon School on October 1st. This year, 349 schools nationwide – 300 public and 49 private – earned the award. School honorees will celebrate with the U.S. Department of Education at an awards ceremony in November in Washington, D.C. According to the national program’s website, the Blue Ribbon Schools Program awards schools in one of two categories: “Exemplary High Performing” – applying to schools with the state’s highest graduation rates and highest achieving students in English and mathematics – and “Exemplary Achieving Gap Closing” – applying to schools that have made the most significant advancements in closing subgroup achievement gaps in English and mathematics over the past three to five years. Glen Rock High School placed in the “Exemplary High Performing” category, according to Principal John Arlotta. This is also the first time the school has been officially recognized by the National Blue Ribbon Program. 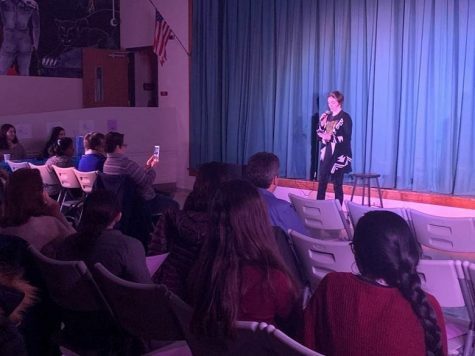 The school first applied for National Blue Ribbon recognition when it received an email from the state department several months ago informing the school that they thought it would be a good candidate for the award. “I was familiar with the Blue Ribbon process, but honestly, they’ve changed the criteria over time, where they now tend to recognize schools that really have a bigger achievement gap, so I wasn’t sure we would be a good candidate for that,” Arlotta said. In addition, most schools recognized in the Exemplary High Performing category tend to be private or elementary schools, he said. “But the [state department] felt like we would be, so I said yes, and we started the application process,” Arlotta said. About one month ago, the school was informed that it was a finalist in the program. Then, around two weeks ago, Arlotta was notified that the school had showed enough progress necessary to earn the award, he said. 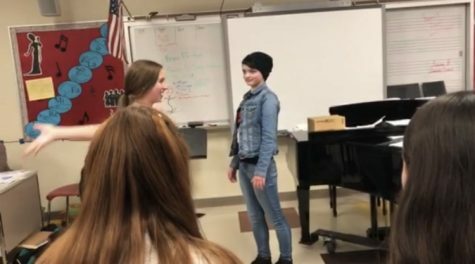 The official notice of the recognition was announced to the community on October 1st, both online and over the loudspeaker during school hours. 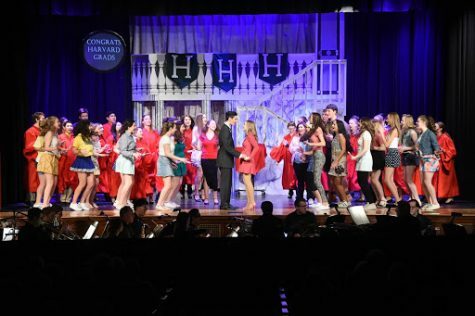 The program’s recognition of Glen Rock High School highlights the strong academic achievement of students, as well as the high participation rate of students in the arts. 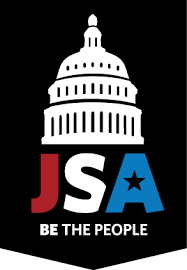 85% of students are involved in the arts, well above the state average of below 50%. 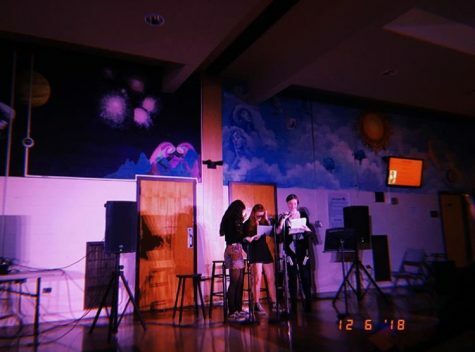 In addition, the high school offers a variety of different courses in the arts, such as Web Design, Photography, Video Production, Concert Choir, Music Production, and multiple levels of Theatre Arts. 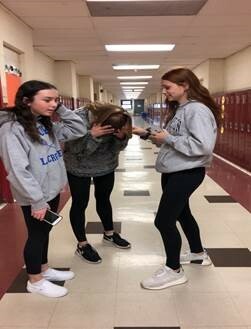 Photo Credit: Courtesy of nationalblueribbonschools.ed.gov. Glen Rock High School’s page on the National Blue Ribbon Program website displays this photo. It was taken during the 2017-18 school year’s musical production of Legally Blonde. 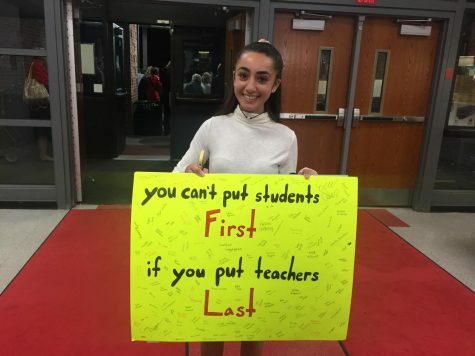 Karina Roze (11), who has attended Glen Rock Public Schools since kindergarten, hopes the school’s Blue Ribbon recognition might help her in college applications and the athletic recruitment process she is beginning. In addition, the award will likely put Glen Rock High School in discussions of great schools around the nation. More people might want to visit or move to the town, Arlotta said. 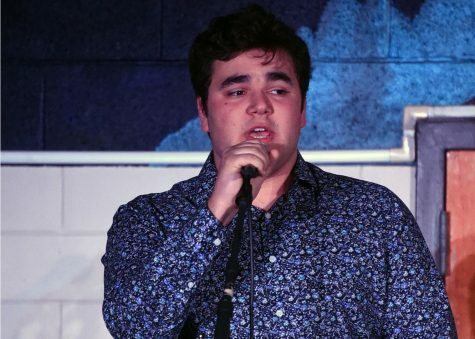 “To be honest, I didn’t really know what it meant for the school until a teacher explained, and now I know it’s a high level of accomplishment,” Roze said.